Changes in plans sometimes work out for the best. We got chased away from going to the Grand Canyon by extremely low night-time temperatures. 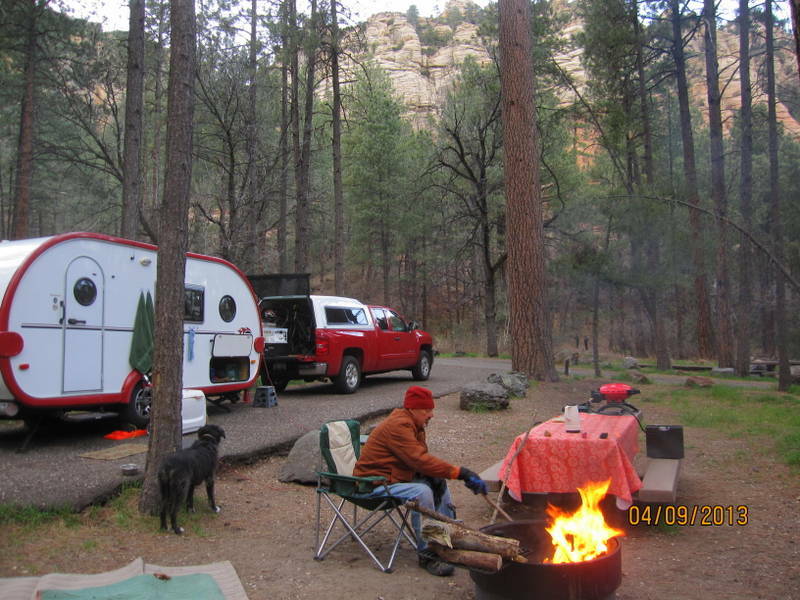 Didn’t want to have to worry about the Fireball freezing, so we decided to hunker down north of Sedona in a National Forest Service campground. 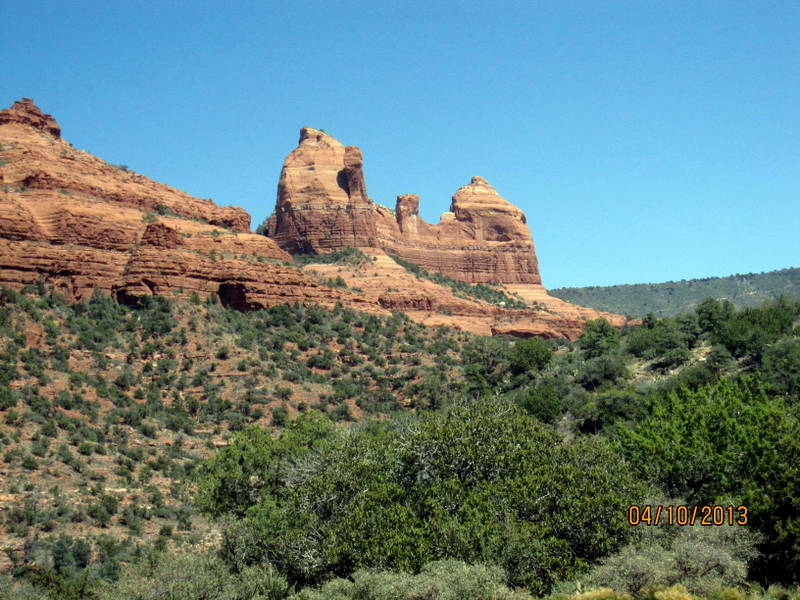 The drive to Sedona was along Highway 89A, another twisty-turny hair-raising road. But, the best part of it was traveling through Jerome, AZ a tiny little artist’s colony built in the side of a hill. Unfortunately, I don’t have any photos – it was impossible for us to stop, as the streets there are about 10 feet wide, and every single parking space was occupied. Jerome reminds me of some of the tiny little mountain towns you see in Europe – where the doors open up right onto the road, and the houses are held up with stilts into the bedrock below, suspended over nothing. What a town. Sure wish we could have stopped. 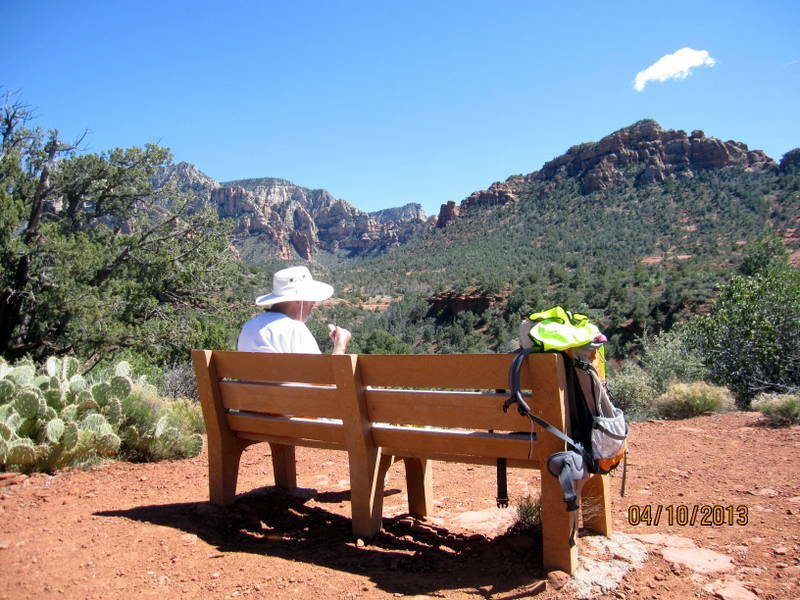 Others have told me that they’ve never been to any place as beautiful as Sedona. Perhaps that’s true. The bright red rocks are striking – sticking up in the landscape in craggy spires. Too bad the town itself seems to be mired in shops selling either t-shirts or magic rocks/crystals. Not our scene. We did find a nice hike or two, although our time on the trail was shortened by the discovery of water all over the floor of the Fireball. Water pump problems? 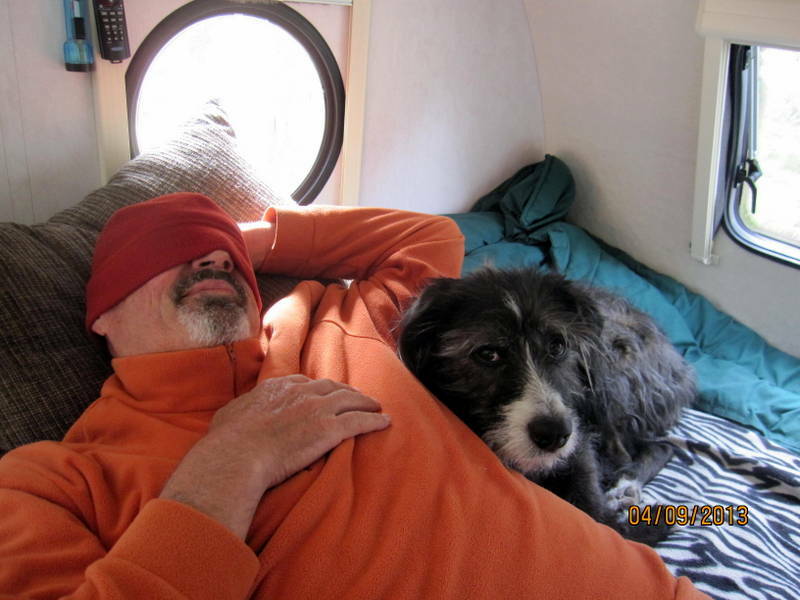 John tinkered, and we hoped for the best, and left. Hope we find things intact when we get home. A few photos follow – this is kind of a sloppy post. We’ve no phone or WiFi in our campground. Just beautiful peace. Not a bad spot along the trail for our lunch break. Once again, we were fortunate to be nearly alone on the Trail.